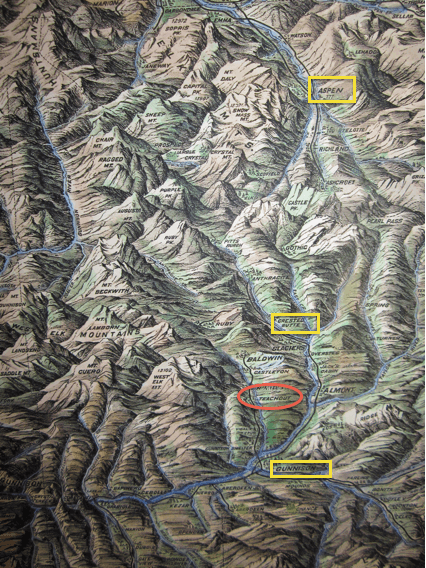 The area around the ranch, as seen in a map from the 1800s. 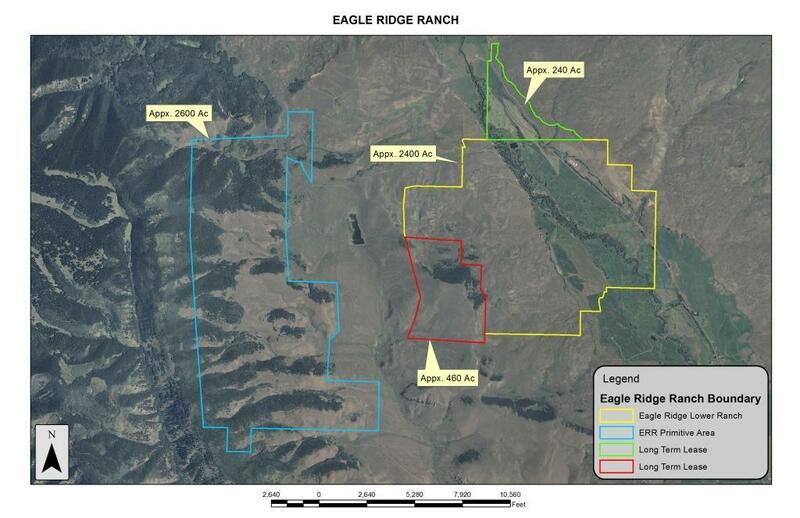 The Teachout ranch (red oval) is the approximate location of Eagle Ridge Ranch today. The yellow rectangles are, from top to bottom or north to south: Aspen, Crested Butte, Gunnison.